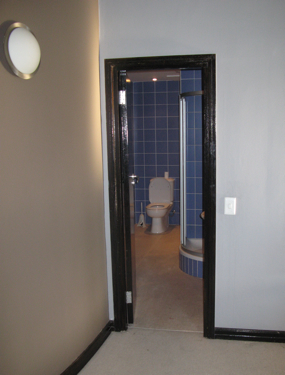 For our first bathroom makeover story we go to an apartment in Mutual Heights, a landmark Art Deco building in the centre of Cape Town. Bespoke Bathrooms worked in collaboration with interior designer Camilla Fraser as the entire apartment was renovated. The bathroom we found gave the impression of being even smaller than it actually was with a protruding wall blocking the view from the door. 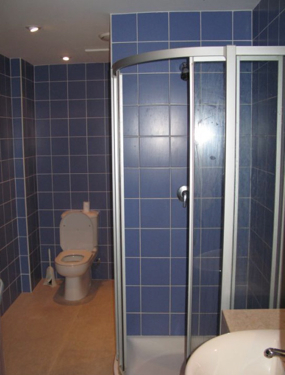 The blue tiling was overpowering and of very poor quality. No provision had been made for storage and lighting was dull. Nothing in the decor made one want to linger! The owners asked that we create a bold look which was modern and functional but at the same time alluded to a bygone era. We removed the dividing drywall and replaced it with a frameless glass shower enclosure, immediately opening up the space. The built-in bathtub was replaced by a free-standing one, again helping to create a sense of more space. The custom made Surrino vanity curves to accommodate opening the bathroom door and provides surface area. 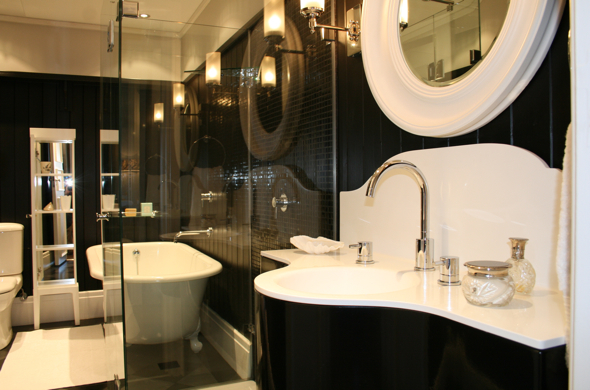 The black and white palette, use of mirrors, glass and stainless steel fittings all echo the Art Deco period. Lighting was always going to be a challenge in a room with no natural light. We decided to use both spotlighting and wall sconces either of which can be regulated to create different moods. Bright and energetic in the morning, soft and calming for the evening.